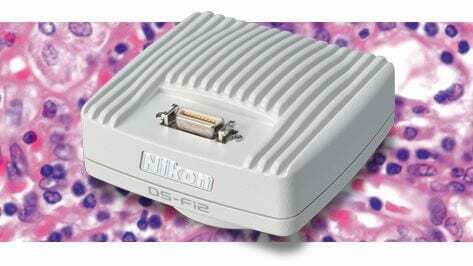 Microscope Camera Head DS-Fi1c | EINST Technology Pte Ltd.
5-megapixel cooled color digital microscope camera head ideal for acquiring detailed images under a variety of illumination techniques. 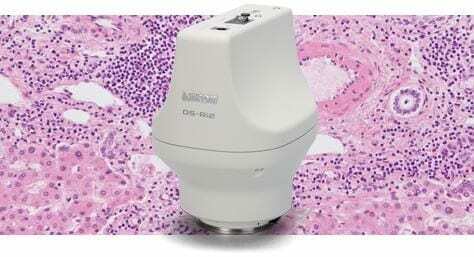 A 5-megapixel cooled color digital microscope camera head ideal for both brightfield and fluorescence applications. Featuring a high definition cooled color camera head and the latest optical technology, the DS-Fi1c produces stunning high-resolution images of up to 2560 x 1920 pixels. Its Peltier cooling mechanism, high dynamic range, low noise and high frame rates achieves high performance under short and longer exposure times, making it suitable for sensitive samples across a wide variety of applications including fluorescence,brightfield, phase contrast and differential interference contrast (DIC). The DS-Fi1c employs a 5-Megapixel color matrix CCD for high resolution and breathtaking colors and optional camera control unit with a full range of features, including a crystal clear LCD display monitor. PC/Mac web browser support is also available for live image displays and camera control via network connection. The DS-Fi1c uses a Peltier cooling mechanism to cool the area around the imaging section to 20° C below room temperature (compared to its un-cooled state). 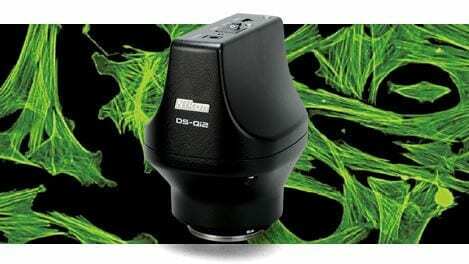 This enables it to suppress thermal background noise and obtain high-contrast images when capturing fluorescence images that require long exposure times. The DS-Fi1c can be fitted with the DS-L3, a standalone control unit that includes an 8.4 inch LCD monitor. 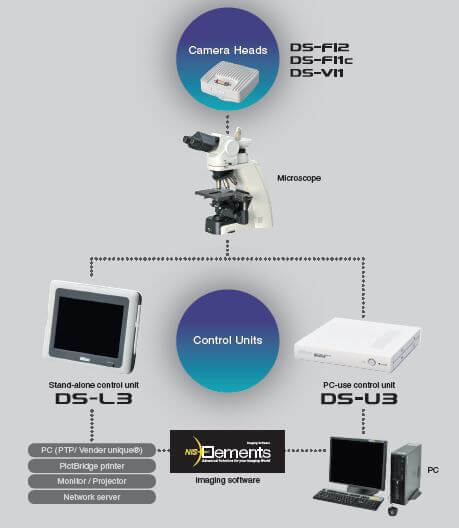 This standalone control unit can observe samples and capture images without connection to a PC. 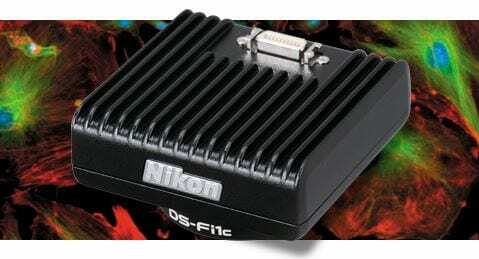 With the DS-U3 PC control unit, live images can be viewed, recorded, measured, processed, and analyzed on a PC monitor by connecting the unit via Firewire 800 to a PC running Nikon’s NIS-Elements Imaging Software.